Iwakuma, M., Oshita, D., Yamamoto, A., & Urushibara-Miyachi, Y. (2017). The effects of breathing-based meditation on earthquake-affected health professionals. Holistic Nursing Practice. Iwakuma,M.,Nakayama,T.,Oshita,D.,& Yamamoto,A. (2016).Short – Term Loosen Up Meditation Induced EEG and Autonomic Response in Healthy Japanese Students. J Alt Med Res 2(1): 113. Iwakuma, M. (2016). “When I am in Japan, I feel as though I’m not disabled”: A cross-cultural adjustment study of trainees with disabilities from Asia-Pacific regions. Disability Studies Quarterly. Miyamoto, K., Iwakuma, M., & Nakayama, T. (2016). Experiences and attitudes of residents regarding a community-based genomic cohort study in Japan: a population-based, cross-sectional study. BMC Medical Genomics. Iwakuma, M. (2014). Struggle to belong. Hampton Press. Oshita, D., Hattori, K., & Iwakuma, M. (2013). A Buddhist-based meditation practice for care and healing: An introduction and its application. International Journal of Nursing Practice, 19, 15-23. 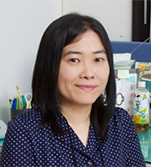 Iwakuma, M. (2011). Disability in the Far East: How Japan has responded a phenomenon of disability. Review of Disability Studies, 7.